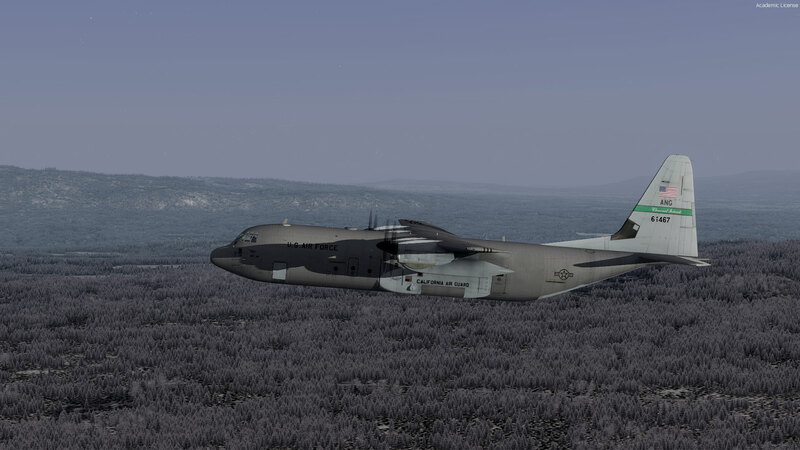 I've started working on getting all the CS C-130 X-perience Hercs working in P3Dv4. Markoz, what exactly do you do for each model? do you just move over the texture/model folder and make an entry in the cfg file? Unfortunately, it's not as easy as that. If it was, I would have written it up in a post earlier. I currently have the all the models showing up in P3Dv4, but I'm still working on the panels/instruments. Once I figure it all out, I will be sure to let everyone know. Instructions will come at that time (unless Captain Sim say I can't/shouldn't do so). Note. I haven't fully tested them yet, but the fact that they look fine (no missing parts on the models, and textures look fully intact), and all the gauges are visible in the VC (2D gauges as well), they SHOULD work! Lockheed did finally respond to my duplicate post on their forum, they acknowledged it is a bug from the conversion and they intend on fixing in a feature update. I followed your instructions, but I have no yoke's in the VC and the sidewindows are open, that I can not close. 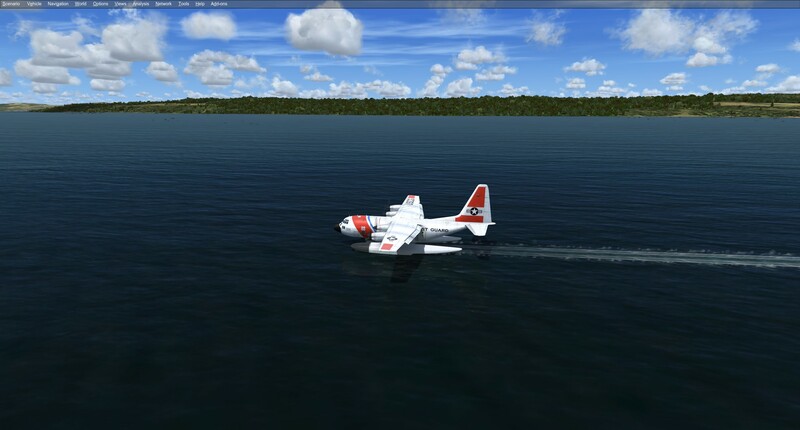 Is the Captain Sim C-130 X-perience installed in FSX, or FSX-SE, and then the files copied and pasted from there and to P3Dv4? 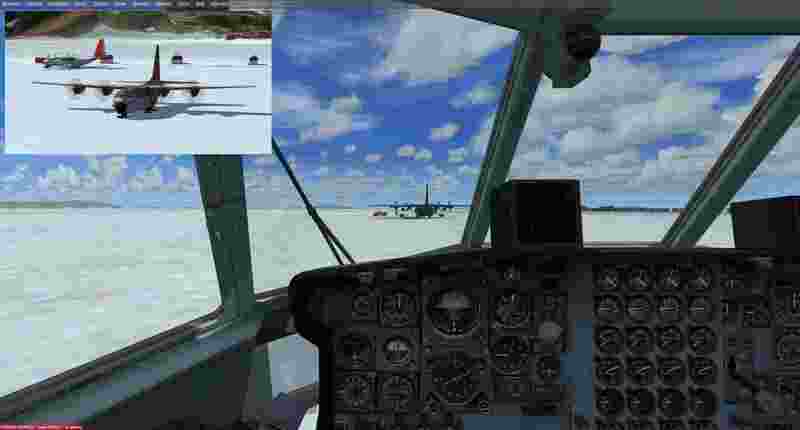 I tested all the different CS C-130X models (but did not do any flights), and the windows open and close like they should. The yoke is visible, and it moves around when I use the joystick (Logotech Extreme 3D Pro). The Nose Steering Wheel also works when I twist the joystick (yaw movement). 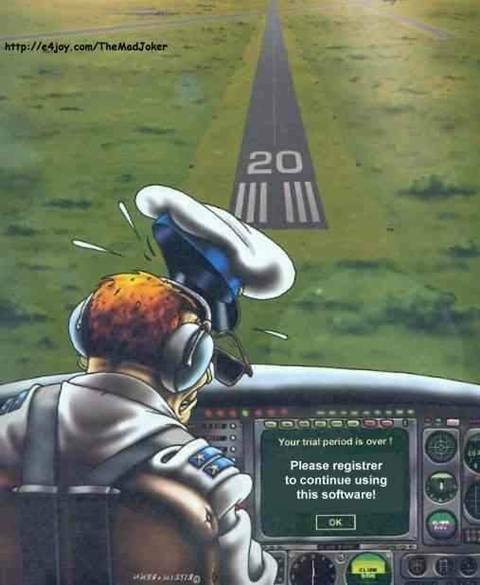 Hello Markoz, I followed your post on the climbing of the C130, and I thank you in practice there is no rate of climb vs so the driver must go up in manual until the established DESIRED HEIGHT where do you say ...... and where is instrument" 5. Then press the + or - key (not the ones on the Numeric Key Pad) until the altitude is set where I want it. I track that by holding my mouse pointer over the I.A.S. Hold (Off/On) Altitude Hold (off/on, 0 ft) ALTITUDE HOLD button on the 2D AP Panel. With Cockpit Tooltips ON, I see altitude number as they go up or down." 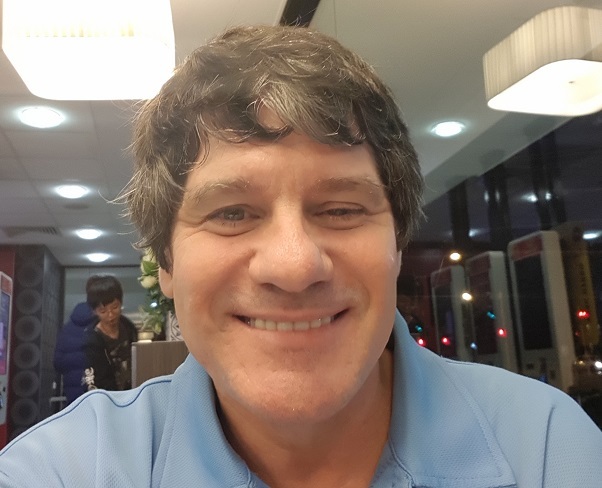 also in a transoceanic journey with load fuel to the maximum how can I intervene in an automatic way to activate the pumps of the external thank you without putting off the engines? thanks Tommaso from Italy. in a transoceanic journey with load fuel to the maximum how can I intervene in an automatic way to activate the pumps of the external thank you without putting off the engines? I will have to do some testing to find out exactly how to that. I followed your post on the climbing of the C130, and I thank you in practice there is no rate of climb vs so the driver must go up in manual until the established DESIRED HEIGHT where do you say ...... and where is instrument" 5. Then press the + or - key (not the ones on the Numeric Key Pad) until the altitude is set where I want it. I track that by holding my mouse pointer over the I.A.S. Hold (Off/On) Altitude Hold (off/on, 0 ft) ALTITUDE HOLD button on the 2D AP Panel. With Cockpit Tooltips ON, I see altitude number as they go up or down." Okay. I'm assuming you can't get this to work, so forgive me if I'm wrong (and ignore the rest of this reply). Using the 2D AP panel, I click on the Hold Altitude button. Using Cockpit ToolTips checked (it has a tick in the box), I hold the mouse pointer over the Hold Altitude button, and it displays the altitude setting (starting with the altitude that I activated it). I then press CTRL+SHIFT+Z, then press the +/= key, _/- keys to increase/decrease the altitude showing on the Cockpit ToolTip until it reaches the altitude I want to cruise at, or descend to. The CS/LM C-130 climbs (and descends) at about 1500fpm (possibly 1800fpm), which seems to be a comfortable climb rate for the C-130 (at least I find it is). So L-M did fix the external tank textures in v4.4, and for that I'm very happy. Unfortunately, for me, I still have another external texture issue that annoys me. I don't know if anybody else is seeing this, or if its just me, but hopefully some of you might guide in the right direction...? The color of the vertical stabilizer and the main wheel wells and some other external textures are showing a radically different color than the rest of the aircraft. The same was evident in v4.3 as well, and it was one of those things I'd hoped would be corrected in v4.4. For now it looks like all the textures affected is from the texture file "C130_4_T.dds". Both homegrown and included liveries are affected. As you can see in the included screenshot, the colors of the main gear wells, the vertical stabilizer, the external tanks and engines are way off compared to the rest of the fuselage. I noticed in skmcconnell361's screenshots that no such color difference was evident, for some reason, so I'm starting to suspect that it's just me, but even if that is the case, I need to figure out why it appears this way on my setup. I'm not using Tomato or Reshade, just PTA, by the way, before anyone asks. Anyways, I could sure use some pointers here, guys. External Vehicle - Untick receive. Could it be that this feature does'nt work in P3Dv4. I used it in FSX but at the time I am not able to activate it in P3Dv4.